STOCKHOLM -- Saab Automobile's two biggest unions said they're likely to ask a court to put the cash-starved Swedish carmaker into bankruptcy in about two weeks unless salaries are paid by then. Saab, which is scheduled to pay factory workers Thursday and administrative employees Aug. 26, said Tuesday that it may be forced to postpone wage payments as "committed" funds from investors may not arrive in time. Saab paid salaries about a week late in June and July. Any delay in the August payments will prompt the unions immediately to start a process aimed at ensuring state coverage of wages in the event of the carmaker's failure, officials from the IF Metall and Unionen labor groups said. 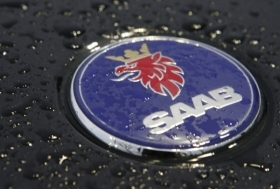 The unions, after gaining employees' backing, would first file payment requests with Saab. If salaries remain unpaid in seven days, the unions may then ask a district court to declare Saab bankrupt. "We must start the process, as there's no alternative to our moving to protect our members' wages," Veli-Pekka Saikkala, head of salary negotiations at IF Metall's headquarters in Stockholm, said today by telephone. "Later, if we don't see a solution, we'll likely be forced to act." The automaker, which General Motors Co. sold last year, halted production in late March amid a cash crunch, and the factory at Saab's Trollhaettan, Sweden, headquarters has been quiet since early June. Saab is trying to raise more funds and has said it aims to restart manufacturing in a few weeks. Sweden's Debt Enforcement Agency started a collection process on Aug. 16 after Saab missed a deadline to pay suppliers. "We haven't decided if we would file for bankruptcy but that would be a natural part of the process," Anette Hellgren, Unionen's representative at the carmaker, said by telephone. "We're taking one day at a time and are still hopeful it won't come to that." Saab is "doing everything we can to prevent salaries being paid late this time, but there's still a risk that will happen," Eric Geers, a spokesman at the carmaker, said in a phone interview today. "Paying the salaries is our No. 1 priority, and our second priority is to restart production."